For all the diversity in Russian Islam, the state looks favorably on manifestations of Islam that operate exclusively in cultural and social arenas without attempting to get involved in politics. 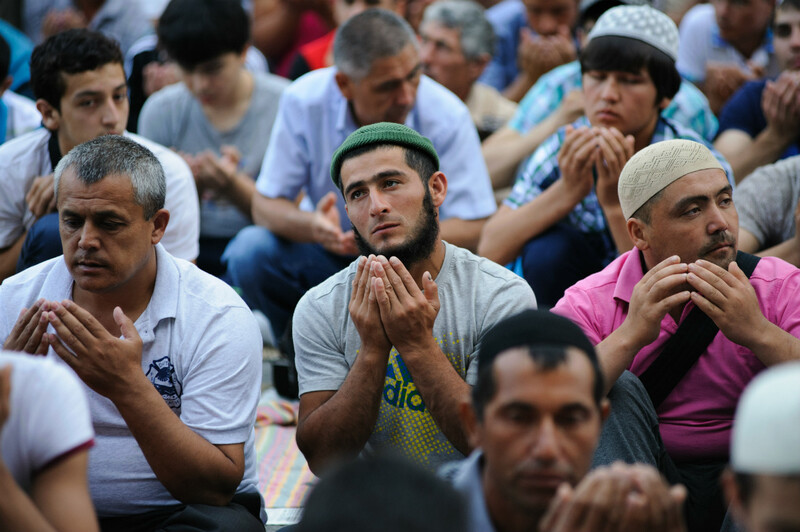 Russia officially considers Islam, along with other religions, an integral part of its culture. Nevertheless, the state strictly sees to it that Russian Muslims remain loyal to the government. Organizations that set themselves at odds with the state—either politically or through direct aggression—find themselves banned. "Traditional Islam is an inalienable part of the spiritual life of our country," said Russian President Vladimir Putin in Sept. 2015 at the opening of the Moscow Cathedral Mosque, one of the largest mosques in Europe. According to Putin, the "traditions of enlightened Islam" developed in Russia over the course of hundreds of years, and the state will continue to aid the development of Islamic theology. Putin's statement reflects the official position of the Russian authorities: Islam is a peaceful and friendly religion that has nothing in common with the twisted interpretations put forward by radicals and terrorists. At a press conference on Dec. 23, 2016, Putin said he opposes conflating the words "Islam" and "terror." Both secular authorities and Russian Muslim clerics draw a distinction between "radical Islam," which has a dangerous tendency to provoke terrorism, and "traditional Islam,” which is tolerant and based not only on the Koran but also on the customs of Muslim peoples and support for the peaceful coexistence of religions. "In every Russian region traditional Islam is going to be understood differently," argues Igor Zagarin, an expert on religion and associate professor at the Russian Presidential Academy of National Economy and Public Administration [RANKhiGS]. Different “indigenous local traditions evolved in Tatarstan, Bashkiria, the Caucasus and so on." Furthermore, Muslim culture in Russia lacks a single spiritual center to provide unity, such as the Russian Orthodox Church does for Christians. Instead, different regions have their own Muslim leaders and clerical administrations, which are not always recognized beyond a particular republic or region. "Russia has several dozen spiritual centers and organizations that compete with one another," Zagarin told RBTH. A key challenge to "traditional Islam" is posed by Salafists—Islamists who call for the "purification" of Islam, a return to rules from the period of the Prophet Muhammad (7th century AD) and a strict subordination of daily life to Sharia law, according to Zagarin. Salafi Islam is considered "not entirely acceptable" in Russia, Zagarin says. In one notable example of this, an Islamic conference held in Grozny in Aug. 2016 issued a fatwa (a religious ruling) that Salafists, Wahhabists and any other radicals were to be regarded as "sectarians" and "undesirable elements on the territory of Russia." At the same time, the Salafi community is not officially banned and continues to exist in the North Caucasus. The moderate branch of Salafism is loyal to the state and opposes violence, according to a report by human rights organization Memorial on the situation in the North Caucasus in 2015-2016. At the same time, the report states that the authorities put pressure on Salafists, keeping a close eye on them and frequently attempting to shut down their mosques. "The authorities a priori treat the Salafists as disloyal or as persons who could become disloyal at some point," Ilshat Sayetov, academic supervisor at the Islamic Studies Center of the Mardjani Foundation, told RBTH. "Attempting to cast doubt on the legitimacy of the state from a religious fundamentalist standpoint with an orientation towards Sharia law rather than the constitution would arouse hostility in any state," says Sayetov. He notes that for all the diversity in Russian Islam, the state looks favorably on manifestations of Islam that operate exclusively in cultural and social arenas without attempting to get involved in politics.